Star Wars is coming out again. As usual, the trilogy (or, more properly, dual trilogies) is late to the table. It seemed to take FOREVER for the original galaxy far, far away to hit DVD. Blu-ray is, of course, the Lucas Empire's latest effort to get fans to part with their hard-earned money. I have and always will love Star Wars. I originally watched the trilogy through "edited for TV" VHS versions full of stops and starts and the occasional commercial. For years, I didn't have the first five minutes of Return of the Jedi because my grandmother and I couldn't figure out how to get the VCR to record during the network television premiere. One of my high school friends had never actually seen the first Star Wars until I gave him my well-worn version taped off WISH-TV in Indianapolis. Eventually, I got the Fox/CBS VHS versions. I think the VHS ones taped off TV are hanging around somewhere. In 1995, I distinctly remember buying the THX remastered version of the trilogy. A few years later, the Special Editions came out on VHS and I had to have those as well. I bought my first DVD player in 2000 because I wanted Gladiator and couldn't wait for the VHS version (which was delayed by six months compared to the DVD release). It would be four more years before the original Star Wars made it to the DVD format. That's been my primary set for a while. I didn't buy the DVD release with the original movies as bonus features that came out a few years after that. Now, here we are in 2011. With the Blu-ray format gaining wider acceptance, Lucasfilm has decided to release the trilogy yet again. I have mixed feelings about this because I, like many other fans, have already bought multiple iterations of these timeless movies. In the end, I know what will ultimately happen...my love for the Star Wars films will win over and I'll get this new set. I'm sure they've been tinkered with some more (actually, I know they have), but I'm looking forward to a wealth of special features, including a bounty of deleted scenes. 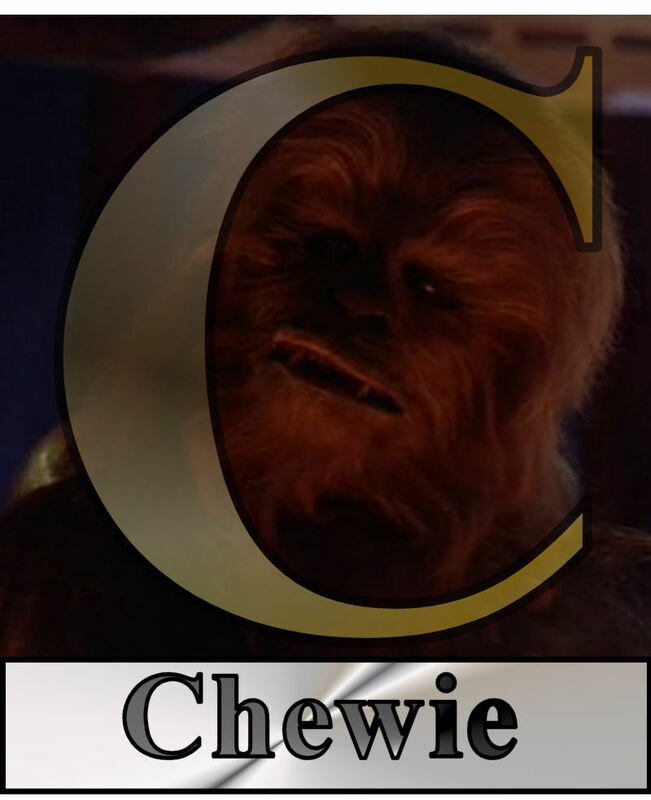 In anticipation of this release, I'm bringing back an "ABC's" format to the blog...this time focusing solely on Star Wars. 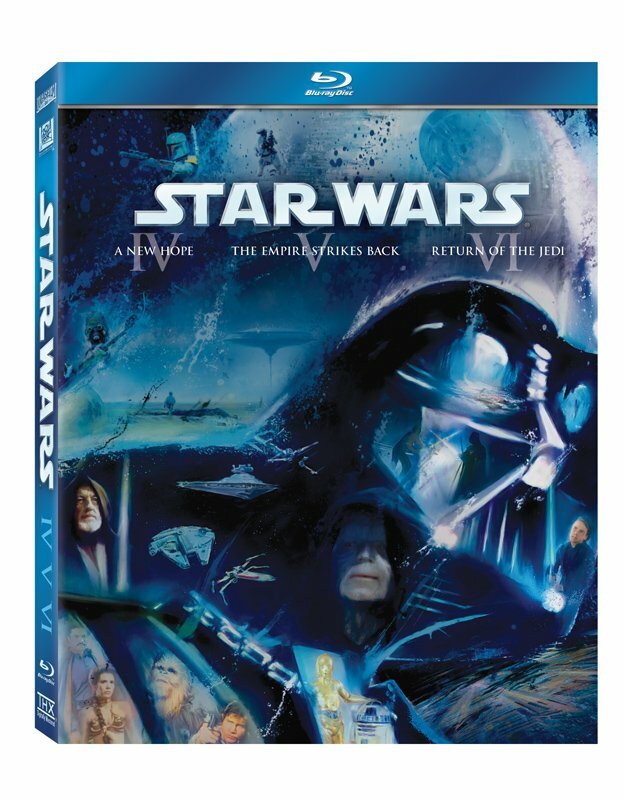 The Blu-ray release hits on September 16th, with the option of individual trilogies for the original three and the prequels or a mega boxset featuring all six movies. Part of me wants to just grab the originals and acquire the prequels after the inevitable price drop; the other part of me just wants to get the whole darn thing (and then there's the part of me who wants to play with my action figures). To kick off my Star Wars ABC's, we're doing a three-shot today. "It's a trap!" -- A is for "Admiral Ackbar." 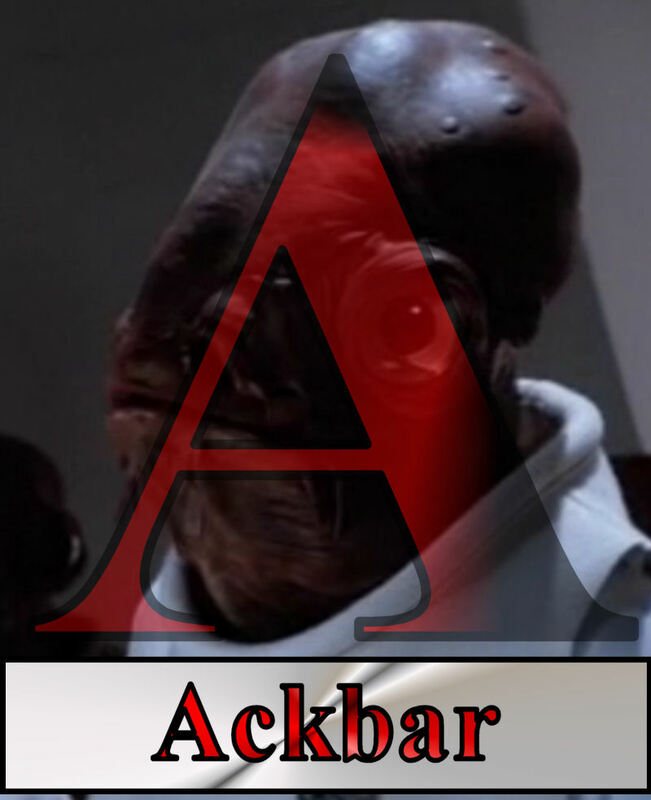 Admiral Ackbar didn't get much screen time, but as the scratchy-voiced, fish-headed leader of the Rebel Alliance fleet, he made quite an impression with what time he had. It was Admiral Ackbar who explained the whole thing about the forest moon of Endor and the projected shield protecting the space station. It was Admiral Ackbar who had the wherewithal to tell everyone in the fleet that the Empire had set a trap for the attack on Death Star II. And it was Admiral Ackbar, master tactician, who almost retreated because the fleet "couldn't repel firepower of that magnitude" when the Death Star proved to be a fully armed and operational battle station. Thankfully, Lando had the Colt 45-inspired idea to attack the Imperial fleet to buy a little more time. Ackbar redeemed himself by urging the fleet to "concentrate all firepower on the Super Star Destroyer," which ended up smashing into the Death Star because...um...a pilot's snubfighter crashed through a window. 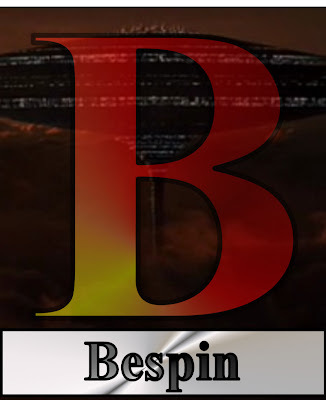 B is for "Bespin." This could've also been filed under C for "Cloud City." Ah...Lando's Palace. A city in the clouds, a great place to get away from it all and have dinner with your arch-nemesis after your best friend betrays you. Put that on a postcard, people! 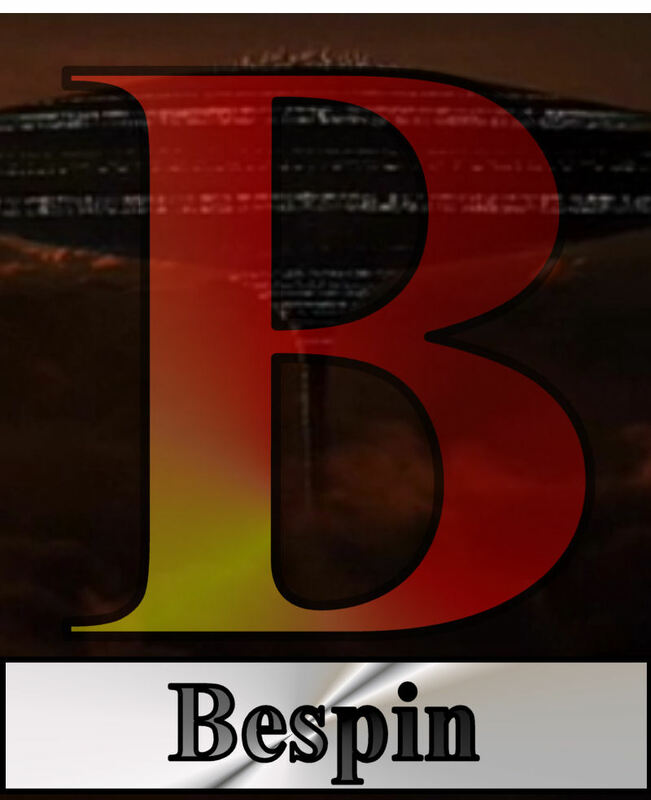 Bespin is a great place to visit, unless you're a protocol droid, in which case you run into a rude doppelganger before being unceremoniously shot to pieces by Imperial Stormtroopers and then being reassembled backwards by a usually reliable Wookie mechanic. You know...if I were Han Solo, I think I would've captured the second Death Star, steered it over to the Anoat Sector, destroyed Bespin and then scuttled the Death Star's main reactor. There are friends and then there are Wookies. Sure, Chewbacca kind of had to be Han's best buddy because of that whole life debt thing, but Chewie's the kind of guy you want on your side. As long as you can stand the shedding. 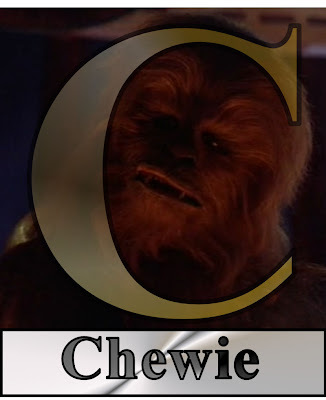 Chewie is the trilogy's unsung hero. He's the one who talks to Obi-Wan and hooks up with Luke and the droids. You can bet he's the one who guilted Han into going back to help Luke during the trench run on the Death Star. In The Empire Strikes Back, Chewie chokes some sense into Lando before "convincing" him to go back for Luke. In Jedi, he gives himself up to Jabba to find Han and then alerts his buddy to the presence of the Galaxy's Most Feared Bounty Hunter. Chewie then steals a freaking AT-ST walker, a move that effectively ends the Battle of Endor. And. They. Didn't. Even. Give Him. A. Freaking. Medal.